A shadowrun rarely goes exactly according to plan. 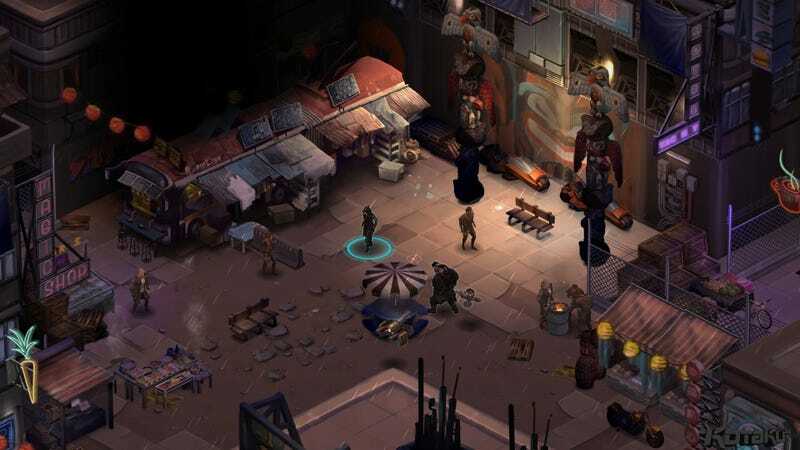 Originally planned for release this month, Harebrained Schemes' Kickstarter-backed Shadowrun Returns is bringing its classic single-player isometric role-playing action to PC and tablets on July 25. It barely feels like over a year has passed since Shadowrun pen-and-paper RPG creator Jordan Weisman launched the Kickstarter that promised a return to the glory of the Super Nintendo Shadowrun game, making up for the 2007 shooter I don't feel like talking about anymore. Within months we had a ton of art and screens. Then we got gameplay. There was a little DRM confusion, but now we've got the full game coming our way. Not only do we get the full game, we also get a feature-rich editor that players more talented than I can use to create and share their own adventures. Early backers have already been creating some amazing things with it. Shadowrun Returns is currently available for preorder on Steam for $17.99, with simultaneous worldwide release planned for PC, Android tablets and iPad July 25.